Resource > Blu-ray > How to Watch Blu-Ray Movies on Galaxy S8 or S8+? Summary: This article gives a brief introduction to Galaxy S8 and S8+, and shows you how to rip Blu-ray to Galaxy S8 or S8+ with DVDFab Blu-ray Ripper. The Blu-ray discs carry media files that are huge in size due to their very high resolution and quality of content. It makes them use not ordinary DVDs, but high capacity discs called Blu-rays. The content in a Blu-ray is encrypted as Blu-ray ISO, IFO, Folders mostly and the encryption standards are also much stricter than before. There are a lot of places to get Blu-ray content these days starting with blockbuster movie releases and other media companies shooting content in HD and Full HD resolution. This immense high resolution is useful for watching movies, even on a large screen since the high quality retains better on them. Furthermore, the Blu-ray movies shot at this quality have a lot of details and that can be reproduced only by a screen that has a high resolution as well. We know that Full HD is called 1080p and 1080p screens are gradually gaining the market of smart phones to computer screens as well. Now, in order to watch Blu-ray movies on Galaxy S8 or GalaxyS8+, this Blu-ray content has to be decrypted and ripped using software like DVDFab Blu-ray Ripper to produce compatible video format supported on the device. Samsung has recently released these two devices as its flagship phones in the consumer market. The screens used on them are Quad HD resolution with Super AMOLED build that has 5.8 inches 2960x1440 resolutions of pixels packed into it. This is probably one of the best displays on a smart phone according to any standards in the market. Thus, if the Blu-rays can be watched in good detail reproduction, it would be sure these. In order towatch Blu-ray movies on Galaxy S8 or GalaxyS8+, to the same steps are necessary to be taken, That is, one has to convert the files to a disc, into the format that can be read by the device. However, it must be noted that using software like DVDFab Blu-ray Ripper one can also run H.265 kind of encryption so that more amount of details can be compressed to smaller file sizes without losing clarity and quality, the main thing about these Blu-rays. In fact, there are a large number of people who have held on to their collection of Blu-ray movies collected over the years. Fortunately, these cannot be watched as easily on other devices due to copy protection issues and so on. In order to overcome these problems, a software like I'd mentioned above called DVDFab or Acrock Video Converter has to be used to accomplish the task. The idea is to convert between file formats used to store this multimedia content inside a Blu-ray disc and the file types supported on an S8 or S8+. The native file types supported on Galaxy S8 and S8+ are MP4/DivX/XviD/H.265 player, and on the audio side, it supports largely MP3/WAV/eAAC+/FLAC player. It is not a surprise that they are not as abundant as supposed to be to support direct playback of high-resolution Blu-ray discs, but since they do not support Blu-ray drives like PC or Mac does, there is no point offering such support. Hence, the workaround is to copy or rip these movies on your PC or Mac, and then convert them to one of the above file types for video playback or watch Blu-ray movies on Galaxy S8 or GalaxyS8+. The difference between the S8 and S8+ is about their hardware and the video playback capacity, etc. are just about the same in both cases. The screen resolution is also is same as 1440x2960 pixels, but in this case, it is packed into a larger 6.2 inch real estate on the device. This is larger than the previous 5.8 inch by few marks and nears the size of a tablet of 7 inches or so. Thus, it shall offer a better viewing experience compared to the smaller version of the S8. 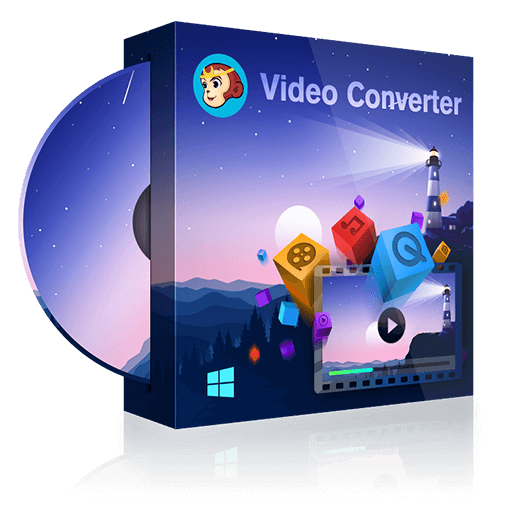 This particular software comes with preloaded modules that make it compatible with latest Intel Core Series processors and NVIDIA graphics cards, allowing them to leverage GPU and CPU for video rendering that is extremely helpful when creating content or decoding videos of 100 GB of Blu-ray discs. It speeds up the process up to 30 times compared to a program that is not compatible with Intel Quick Sync and NVIDIA CUDA. These are its mainstream features that make DVDFab stand out in the market. It has a free trial to check out its performance. It is available for both Windows and Mac. The method is quite simple here. You need to have Blu-ray compatible player, notice that Blu-ray discs are 2K or 4K even, and not all Blu-ray players can play 4K discs. Some are only limited to Full HD. Thus, once you have the player, insert the disc into it. Now, having installed the above program, launch it. It allows you to add media files using Add option, where you must browse to the Blu-ray disc. Then, select the output format from the list of preset devices. There must be Android and Samsung Galaxy listed there as well. Once, it is done, just hit on “Start” or “Convert” which starts the process. The entire process remains the same irrespective of any software you use.